4 Bedroom Detached House For Sale in Stanmore, Middlesex for Asking Price £2,499,500. Last House Remaining Priced At £2,499,500. 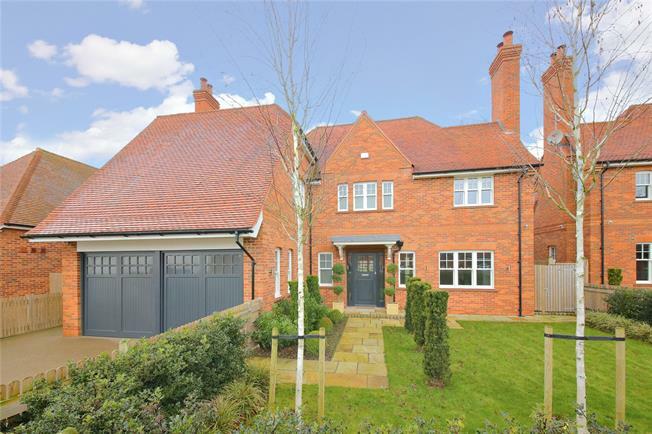 Ten magnificent detached homes set behind a gated entrance, adjacent to a tranquil country park with panoramic views across the capital. A rare opportunity to enjoy contemporary luxury living in an exclusive picturesque setting. Located high on Stanmore Hill, shielded by trees and set behind a gated entrance, The Cloisters represents a rare opportunity to live in an exclusive development in a stunning environment. All of the homes at The Cloisters also feature an exceptional internal specification, generous gardens to the front and rear, and integral double garages. In short, stylish and spacious family homes that are something truly special – in a location that is itself truly exceptional. NB. PLOTS 3, 4 & 5 have not been constructed with a basement. leafy, Stanmore retains its own unique identity and village atmosphere. Climb Stanmore Hill, past scatterings of charming cottages, grand old halls and lodges and the occasional country pub and you’ll find yourself in nothing less than a rural idyll. commons and parks and ancient woodlands threaded through by old country lanes; almost a slice of authentic English countryside.